Choosing an extra large rug for your home asks for some homework before you finalize on the perfect rug size. Extra large rugs fall into the range of 17X240 and above. Extra large rugs are best suited for dining area, just under the table, living rooms, conference halls and gathering spaces. Most important thing you need is to first measure your space where you wish to place it. Most people do this but also stop at this point. Another important aspect we need to check after you measure the space is how well your furniture is placed. You need to position your furniture right in the places where you want them to be after placing the rug. This will give you an idea of how well the room is transformed after it has its new addition in place. 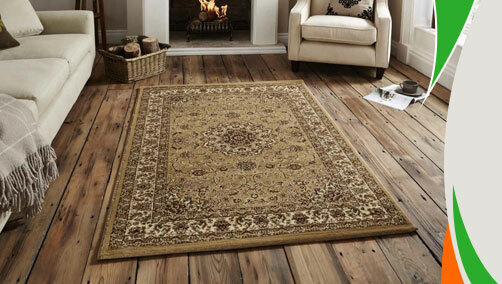 Here, in our extra large section you will find the best rugs which the money can buy at cheap prices. Our designs and quality is unmatched. We give you ample options to choose in terms of what design you prefer. You can choose from stripes, geometric, abstract, modern, contemporary, traditional and oriental patterns. Each pattern further has wide choice in terms of color which you would prefer to match your home decoration. Each color would again have options in different shades and their unique and trendy combinations which make each extra large rug look beautiful then the rest. Our range doesn’t stop here. If you meticulous about the right texture and material then we have you covered for that as well. Our extra large wool rugs are best sellers. Not to mention the ever increasing popularity of rugs made from synthetic fibers like polypropylene, polyester, acrylic and nylon. How about a shaggy rug which is very popular and most comfortable. Choose the one which matches your style and be ready to feel proud of your decision. If you have a size requirement which is beyond the scope of standard extra large rugs sizes then check out, “Made to Measure” section where we can custom build it. You will never leave our online store without an option.